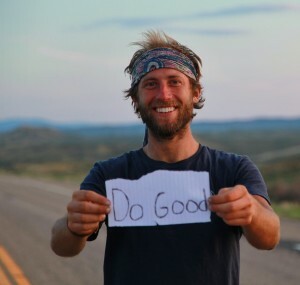 Cycling 4,500 miles across the USA was the easy part of Rob Greenfield’s 19-state adventure. So what was the hard part? How about doing it using electricity only from renewable energy, consuming water only from natural sources, and eating only locally grown organic food – a challenging off-the-grid adventure. The ride was done to inspire Americans to live a healthier and happier lifestyle for themselves and for the planet and you can learn more about it at GreenfieldAdventures.org. Rob Greenfield, welcome to The Pursuit Zone. Thanks for having me on the show Paul! My pleasure Rob. Thanks for the great interview.